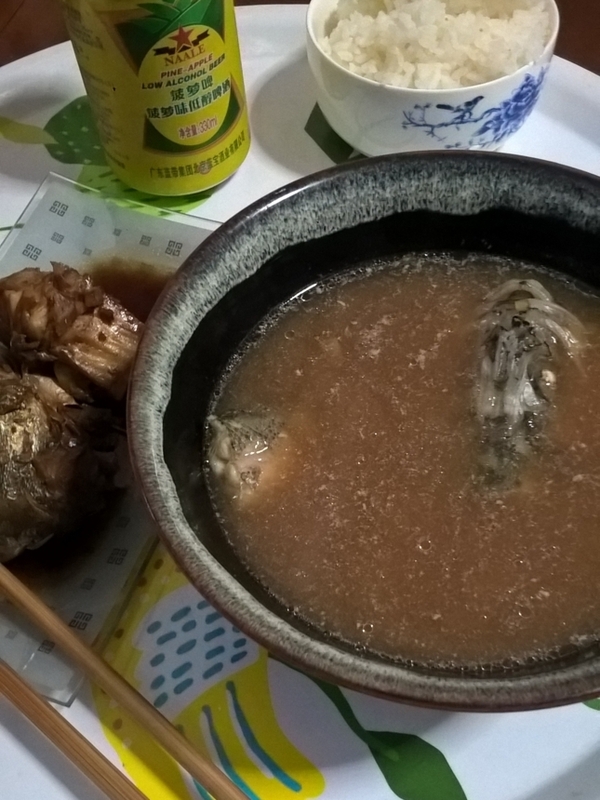 Since I filleted a sea perch and stewed it with soy sauce, I cooked a miso soup with bony parts. The sour taste of miso milden the fishy taste, it was soo yummy! However remained scales ruined it.